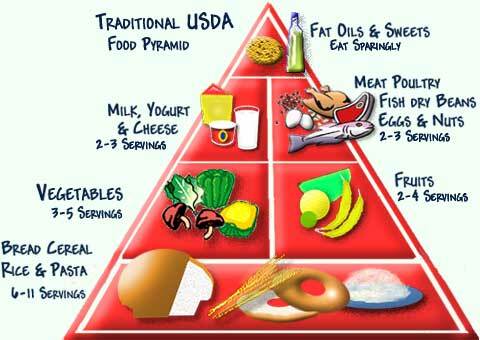 In 2005, the USDA rolled out a new food pyramid reducing red meat’s place in a healthy diet. Recently, an advisory committee developing the 2015 Dietary Guidelines for Americans, which are revamped every five years, said Americans should eat less red meat and processed meat in favor of a “diet higher in plant-based foods.” Committee members wrote that a red meat-based diet “has a larger environmental impact in terms of increased greenhouse gas emissions, land use, water use, and energy use,” compared to plant-based and Mediterranean-style diets. This further inflamed the meat industry, yet the industry is not giving up. Here are the lies Big Meat spreads to try to subvert healthy diet advice and retain its profits. Lie #1: There is no science linking red meat to cancer, stroke and heart attacks. Lie #2: Meat today is “leaner” than it used to be, and better for you. There is another risk from meat fat which is especially prevalent during barbecue season: dripping fat creates carcinogens called “heterocyclic amines” and “polycyclic aromatic hydrocarbons,” health experts warn. And even when red meat is lean, it may still be a heart risk. Increasingly two components found in meat—Trimethylamine N-Oxide and Neu5GC—are viewed as a key mechanism that drives the heart risks through causing inflammation in the artery wall. Meat’s biggest virtue, boasts the meat industry, is that it is “nutrient dense,” meaning rich in protein, vitamins, minerals and amino acids. Meat promoters say meat is superior to other protein because it provides “satiety” that other foods lack. Not only do you feel fuller for longer, the satiety factor can even make you lose weight—in the same way Snickers bars are a diet food. “For long-term weight loss, improvements in satiety levels—a measure of the state of fullness between meals—have been demonstrated in people who opt for protein-rich foods like lean red meat as part of a reduced calorie, moderate fat diet,” says a red meat website. Lie #4: The salt in meat is good for you! The North American Meat Institute admits that salt “plays a critical role in the production of meat products” especially processed meat. But rather than acknowledge the role of excessive salt in high blood pressure, heart attack and failure, stroke and damage to the kidneys and blood vessels, NAMI thinks salt is a good thing. 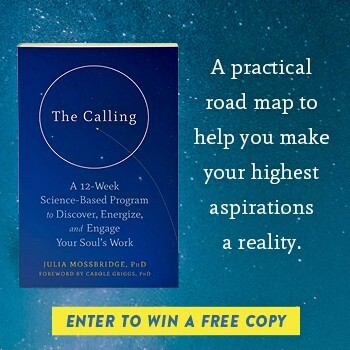 Salt “is essential for human health and development, particularly in regulating the body’s electrolyte balance, preventing dehydration, and maintaining many of the body’s cellular functions,” says NAMI. It “improves the flavor, texture, and safety of meat, especially processed,” and hydrates “muscle proteins” while it “allows a gel structure to form during cooking.” Pass the Slim Jims. Preservatives like salt also keep meat safe by retarding the growth of germs like listeria, salmonella and E. coli, says NAMI, though it does not address why so many pathogens are in the meat to begin with. Nor does NAMI address other common preservatives in meat that AlterNet has reported on like nitrites, ammonia gas and carbon monoxide. Lie #5: Millions of American can’t be wrong. Defending a food simply because it has “palatability” and people like it certainly puts the cart before the horse. You could say the same thing about cigarettes. Toddlers, after all, like cough syrup and dogs like chocolate. Still, NAMI charges that instead of “demonizing” red meat, the new guidelines should emphasize “proper portion size and smart choices, which still allows consumers to continue enjoying the foods they love as they build an overall healthy dietary pattern that includes fruits, vegetables, whole grains, and lean protein”—a philosophy also known as Cutting Down Slowly. NAMI charges that the new guidelines are insensitive to minorities whose diets include more salty, processed and cured meats because they ignore important cultural differences. Big Meat even plays the elitist card, pretending that healthy diets without saturated fat are some kind of rich prerogative. In truth, the poor suffer the most from obesity, diabetes and cardiovascular disease from cheap fast food diets which include cheap and processed meat. Marth a Rosenberg is an investigative health reporter who has contributed to Consumers Reports, Bill Moyers and the Annenberg health site at the University of California. She has appeared on CSPAN, NPR and the Ed Schultz show and lectured at universities and medical schools. Rosenberg’s food and drug expose, Born with a Junk Food Deficiency, was praised by the Times of London, Public Library of Science, Vice and the Chicago Sun-Times and won an American Society of Journalists and Authors honorable mention for non-fiction. Obama Ready to Sign the DARK Act-Has He Been the “Monsanto” President All Along? Soon them empire will collapse, is just a matter of time. The information spreads like virus. There’s no such thing as a “healthy diet without saturated fats”. Saturated fat is essential. There’s no such thing as “a healthy diet without saturated fats”. Saturated fat is essential to our health.